Oh sweet lord, my infatuation with Asian burgers continues. Bachi's Kalbi Burger grinds some sweet piggy into the beefy patty, adding to the juicy succulence of this perfectly sized sandwich, and spices things up with soy, garlic, ginger and chili paste. You will definitely notice, with your first bite, that this isn't just some vaguely Asian-flavored burger. It's definitely got that Kalbi short ribs-barbecue-ish tang. 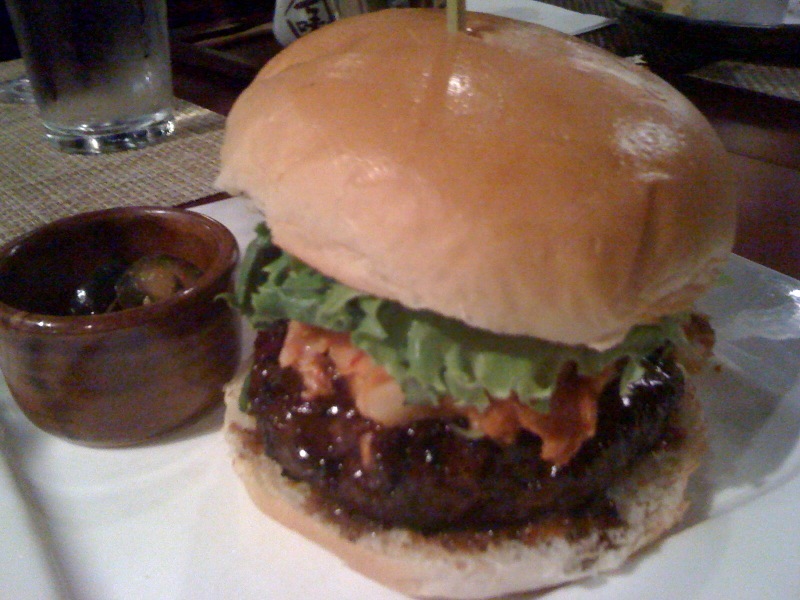 On a soft, nicely chewy bun, there's also lettuce, kim chee, green onions and something called Ko Chu Jang mayo. Wonderfulness abounds, with the great texture of the meat swimming in the sharply flavored, distinctly Korean glaze and the slightly funky -- in a good way -- kim chee packing some crisp punch.